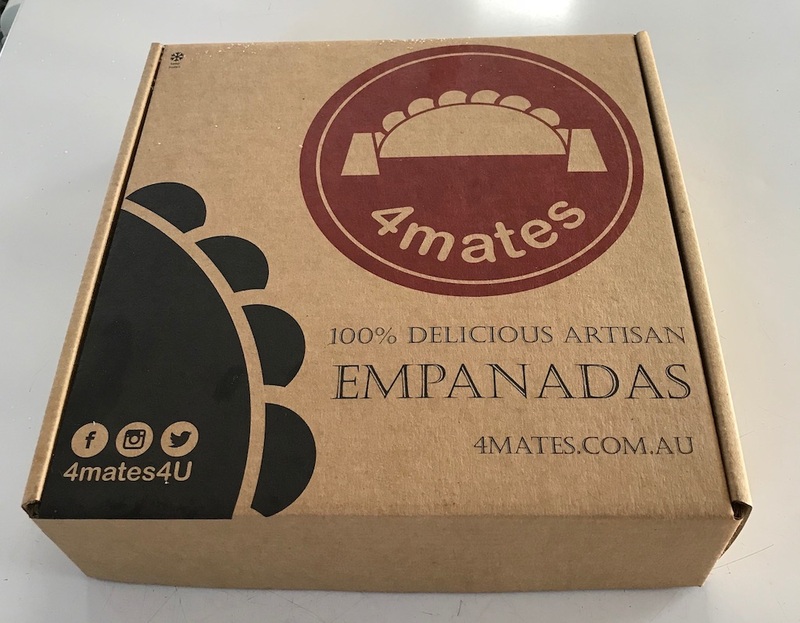 4mates empanadas Northern Beaches - Sydney! An empanada is a Latin American pastry turnover filled with a variety of savoury ingredients and baked or fried. Order online and we deliver the empanadas every Thursday! You can keep your empanadas in the freezer, don’t miss it. Delivery charge starting from $5.00, local area. Extra charge apply based on distance. Traditional size for the Argentinian empanadas. You can combine any flavour. This is the size that you normally see in some stores and shoppings malls. Ideal for parties, and events. These empanadas are coming on package of 24 empanadas with the same flavour. Perfect size for cocktail empanadas. Ideal for cocktails and parties. These empanadas are coming on package of 24 empanadas with the same flavour. Remember at the moment we deliver only on Thursday. View/Download the Code brochure for flavours. Wholesale for Restaurants, Cafes, Pubs, Food Trucks, Delis and Bars. 4mates offers exceptional catering options for your next event. Could be corporate meetings, weddings, business lunch, birthday, office party or sporting event. The minimum order for catering are 3 dozens. 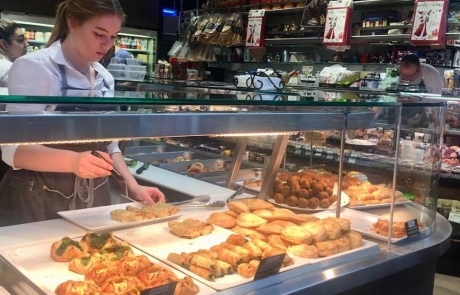 If you would like to see how to cook an empanada (baked or fried) please see our section for Frequently Asked Questions. 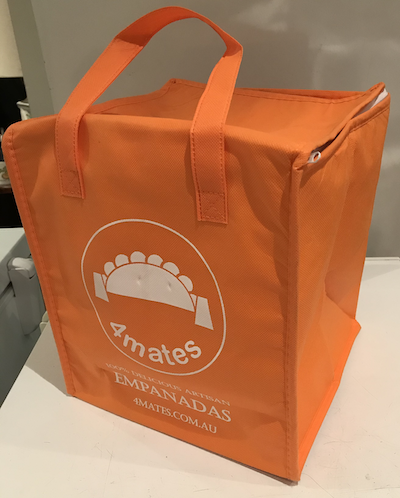 We can send the empanadas frozen, so you can bake or fried later, or we can deliver them cooked. Contact our Catering/Wholesale department today if you have any question or special order at Catering Form. 4mates is in 4 wheels! 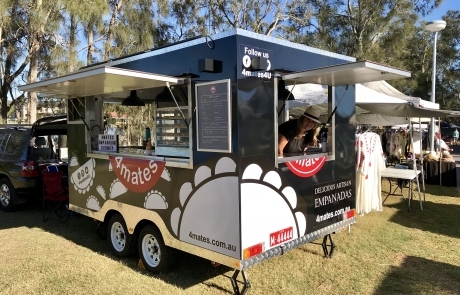 4mates food trailer is serving empanadas and Latin-American food in the markets around Sydney. Follow us through social media to receive updates on our locations, dates and times. 4mates have catered for many events around Sydney including festivals, concerts, parades, sports venues and holiday parties. 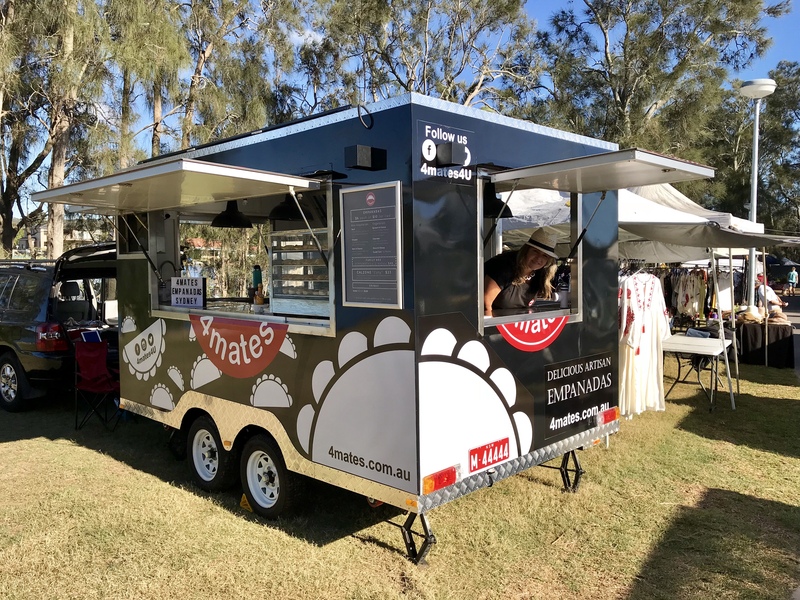 Contact us if you would like 4mates food trailer in your next event serving empanadas and Latin American Food. Want the food trailer just for your party? You can do that! Our catering service can be hired for any event or occasion with a tailored catering menu just for you. Contact us for your next event! 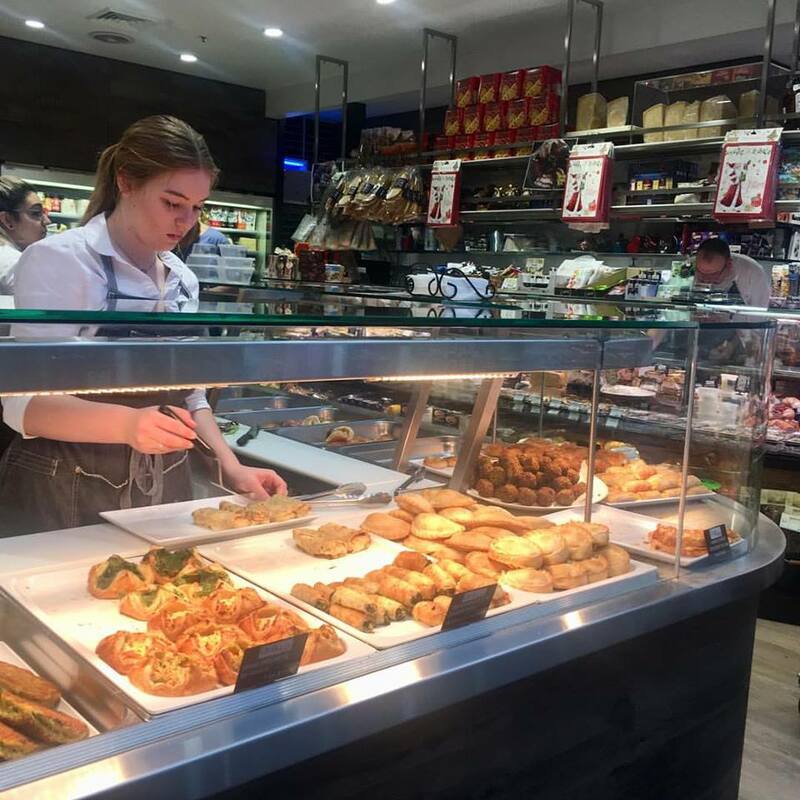 While we were missing empanadas in Australia, we had the dream to launch a gourmet shop selling our lovely food. A dream quickly evolved into an idea, which soon developed into a business concept. 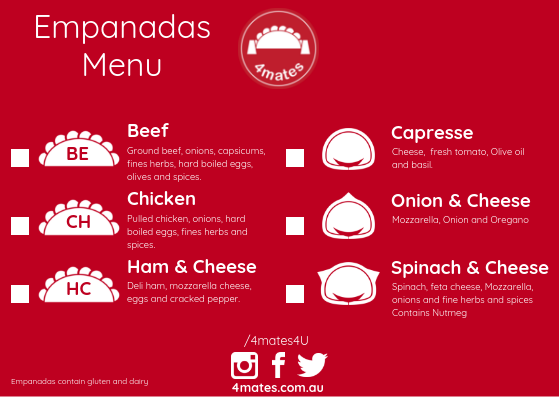 Opening at Sydney in 2015 4mates produces it artisan empanadas by hand and with the best ingredients, with love. This means that we are doing empanadas for our mates. We are a family of four, so we are four friends in 4mates. 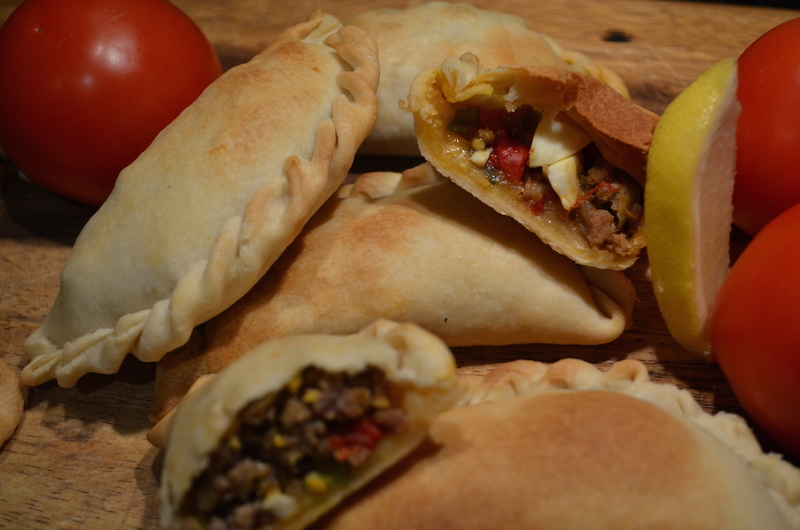 4mates empanadas at your deli shop, restaurant, food truck or coffee shop.